For more than 70 years, Bertrand Chaffee Hospital has been an integral part of the Springville community. We have representatives and clinicians who regularly speak to local organizations about our services. We also coordinate educational opportunities for the community, with workshops, trainings and tours. Our community, and service area, covers parts of three counties in western New York: Erie, Cattaraugus and Wyoming. We are located in the village of Springville within the town of Concord. 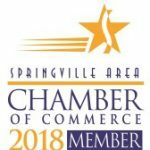 Bertrand Chaffee Hospital is a member of the Springville Area Chamber of Commerce, the Gowanda Area Chamber of Commerce and the Arcade Area Chamber of Commerce. We participate in the Springville Regional Services Coalition, a group coordinated through The John R. Oishei Foundation and its Mobile Safety-Net Team. We meet monthly with other human and social service agencies and municipal and school district representatives to coordinate, collaborate and communicate on initiatives and projects. Bertrand Chaffee Hospital is proud to be a site for Mercy Flight of WNY. Mercy Flight’s first patient was flown to our facility more than 35 years ago. In 2016, we welcomed the opening of their helicopter hangar to accompany their helipad. This building is also a base for its ground ambulance transport service, Mercy EMS. We are a member of HANYS, the Healthcare Association of New York State, and its regional affiliate, the Western New York Healthcare Association. BCH has representatives available to speak to groups and businesses about our services. Bertrand Chaffee Hospital entered into an affiliate agreement with Catholic Health in 2009. Our facility also belongs to the New York State Association for Rural Health. We are grateful to our elected officials for their support of our facility and our healthcare initiatives. BCH has strong relationships with many local and regional service agencies, community groups and municipalities. For more information call (716) 592-2871 ext. 1485.